Item # 296088 Stash Points: 4,995 (?) This is the number of points you get in The Zumiez Stash for purchasing this item. Stash points are redeemable for exclusive rewards only available to Zumiez Stash members. To redeem your points check out the rewards catalog on thestash.zumiez.com. 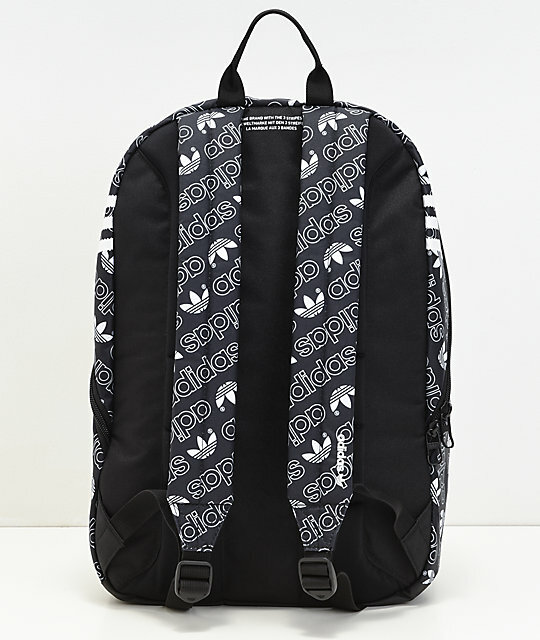 adidas presents their National Backpack as the brand new AOP National Monogram Black Backpack, draped with the athletic brand's signature logo script/Trefoil logo graphics printed throughout. 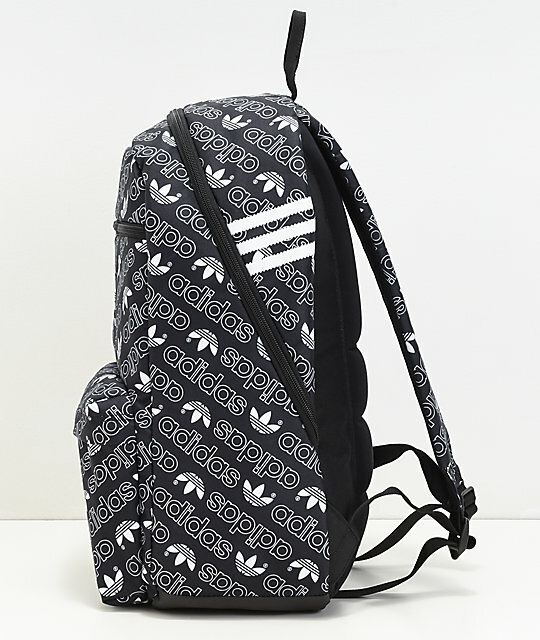 Targeting comfort, adidas had given this bag tricot-lined shoulder straps accompanied by a padded quilted foam back panel providing exceptional daily comfort. A well rounded backpack that's functional, sporty and well equipped with a generous 24 liter storage capacity. 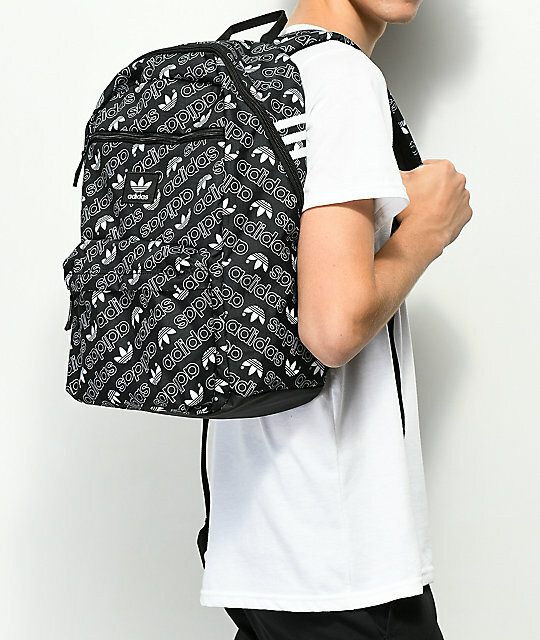 AOP National Monogram Black Backpack from Vans. 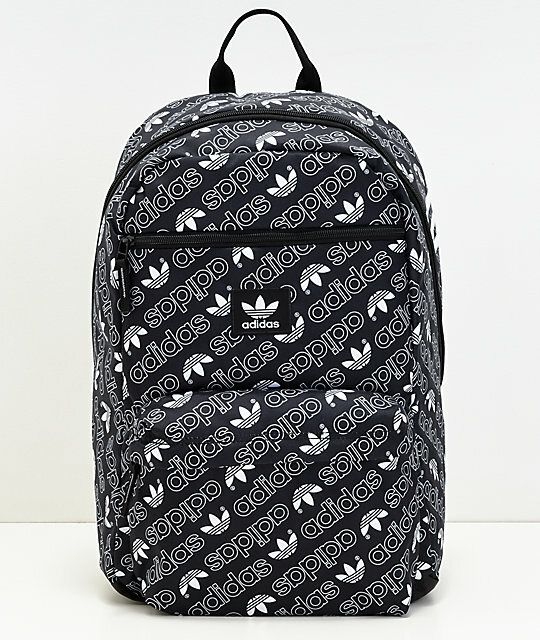 Canvas exterior with adidas logo script and signature Trefoil logo graphic print pattern throughout. Large main compartment with internal laptop sleeve and tricot-lined and mesh pouches. 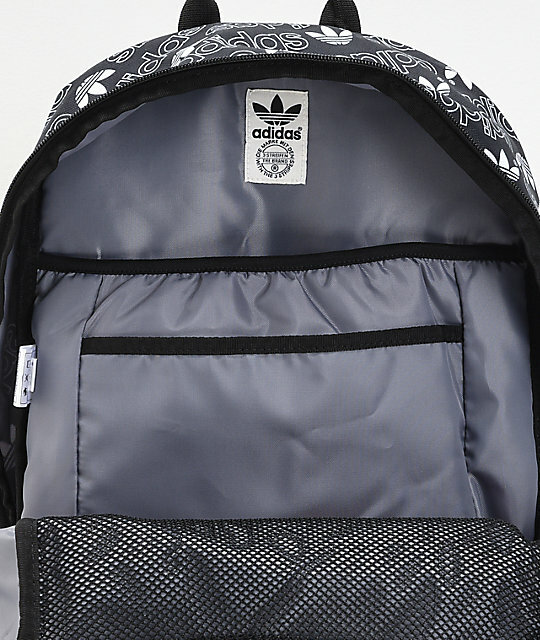 Adjustable tricot-lined padded shoulder straps. Dimensions: 18.5" (47cm) H x 12" (30cm) L x 6.5" (17cm) D.